SOHP relies on the volunteer efforts of our members to make things happen. Individuals who are interested in participating in one of these committees, please contact SOHP President Tammy Allen (President@sohp-online.org) with your name, contact information, and information about preferences, special interests, or special areas of expertise. 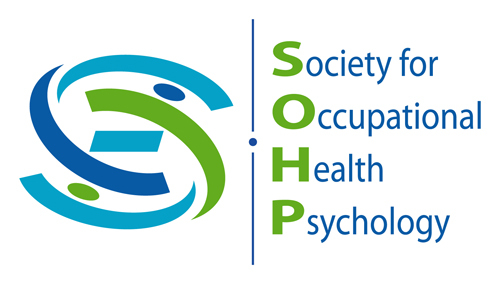 Promote the activities and mission of SOHP to individuals and groups outside of the Society. Members of the Education & Training Committee monitor the state of graduate education in occupational health psychology (OHP), encourage and promote the development of scientific and practitioner skills of the Society’s prospective members, and identify/develop resources for the OHP educators (e.g., sample syllabi, sample curricula, etc.). The responsibility of the Graduate Student Issues Committee is to facilitate networking, sharing of ideas, and development of collaborative relationships among graduate students in the field of OHP, and to identify issues of particular concern to graduate affiliates of the Society plus a designated liaison between the Executive Council and the committee. The main functions of the Membership Committee are to promote membership in SOHP, to evaluate applicants for membership, to maintain information about the membership, and to encourage member involvement in the functioning of the Society. In addition, the committee provides a regular accounting of membership numbers and may initiate special projects to learn about member needs and to increase membership. The purpose of the Practitioner Committee is to promote the inclusion and participation of practitioners in SOHP. These practitioners can identify as psychologists or a number of other different occupations. The Awards Committee solicits nominations and coordinates the evaluation and recommendations for recipients of student, research and professional OHP awards in conjunction with the biannual Work Stress & Health Conference. The Elections Committee solicits nominations for elected offices and managers the election process. It is chaired by the President-elect, with additional members appointed by the President, as needed. Responsible for soliciting and editing articles for an electronic Society newsletter; works with the SOHP Webmaster to produce and distribute the newsletter. Responsible for maintaining and updating the SOHP website. Coordinates with standing committees to provide current content for the website. Contributes ideas on how to maximize the effective use of current technology resources. Responsible for developing and coordinating pre-conference workshops for the Work Stress and Health biannual conference.